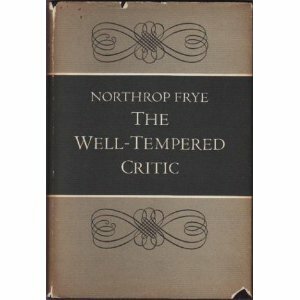 Michael’s recent posting of Sarah Palin’s latest free association on, er, whatever that guy’s name is, came to mind today as I was reading The Well-Tempered Critic, one of Frye’s undeservedly lesser known books. Frye’s discussion of the dangers of a bastardized use of language casts a glaring light on America’s ongoing descent into mental darkness. Characteristically, he approaches the problem from the perspective of education, language, and the imagination. What he has to say bears directly on the kind of “automatic gabble,” to borrow his phrase, that issues from the mouths of so many American politicians and pundits, this being the only verbal form that could possibly give expression to the mob mentality of the most recent incarnations of the American right-wing. His insights clarify, in particular, ongoing debates about freedom of speech, and what that freedom actually demands of us as members of a free and democratic society. But of course freedom has nothing to do with lack of training. We are not free to move until we have learned to walk; we are not free to express ourselves musically until we have learned music; we are not capable of free thought unless we can think. Similarly, free speech cannot have anything to do with the mumbling and grousing of the ego. Free speech is cultivated and precise speech, which means that there are far too many people who are neither capable of it nor would know if they lost it. This entry was posted in Current Events, Language, Well-Tempered Critic on June 10, 2011 by Joseph Adamson. The only thing that is not true there is that math and music are nonverbal. Thank you for the expression “mental darkness” and for the excerpt from _The Well-Tempered Critic_. Is Valerie Day ‘mocking a Senate page who displayed a similar sign on the Senate floor last week that said “Stop Harper.”‘ or are her actions an example of the cliche “Imitation is the sincerest form of flattery”? I am not sure I get your point: Frye expressly refers to them in the quoted passage as nonverbal–“the nonverbal arts,” as he puts it. Are you saying that music and math are verbal arts? Could you perhaps elaborate? FYI: In Myth in the State, Ernst Cassirer’s last major work, the author says that fascism’s strength was its ability to twist the normal meanings of words, a la 1984.